In the Academic IELTS writing exam task 2, there are 5 types of questions and each of these has a slightly different approach. IELTS essays are discursive essays and not the same type of essay you would have to write at University. There is a minimum word count of 250 words and no more than 5 body paragraphs in IELTS essays. You need to analyse the question first, find the issues in the question, plan and organise ideas, write supporting points and specific examples, paraphrase well, give a good introduction and conclusion. There is a lot to do. If you don’t use the right approach then it will be very difficult to raise your score, obviously, you need to have a good foundation of grammar and vocabulary to get to Band 7. Some people become obsessed with a Band 9, but Band 9 is quite rare in IELTS writing task 2. In fact, most universities or companies only require Band 7 or 8. IELTS essays are marked according to a specific marking criteria set out by Cambridge, so if you know what the examiner is looking for, then you have a good chance of getting a good band score. Some students have very good English skills but are not familiar with the way IELTS essays are marked and end up losing a band score because of this. Click here to get the PDF from ielts.org on the marking criteria for writing task 2 in IELTS. Here are the 5 types of essay questions for IELTS Writing task 2. Click on the links below for free lessons in IELTS Writing task 2. How many words should be in an IELTS essay? IELTS Grammar: How to use conjunctions in essays. 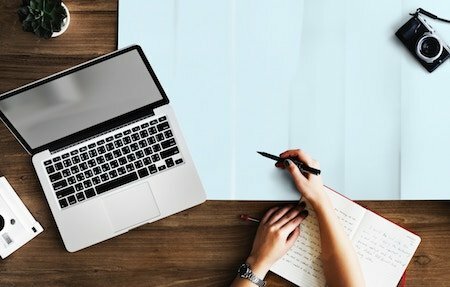 When should I write my opinion in an IELTS essay? Step by Step guide to Paraphrasing in IELTS Writing. Step by step guide to using Cohesive devices in IELTS writing. How to write a Thesis statement in IELTS essays. 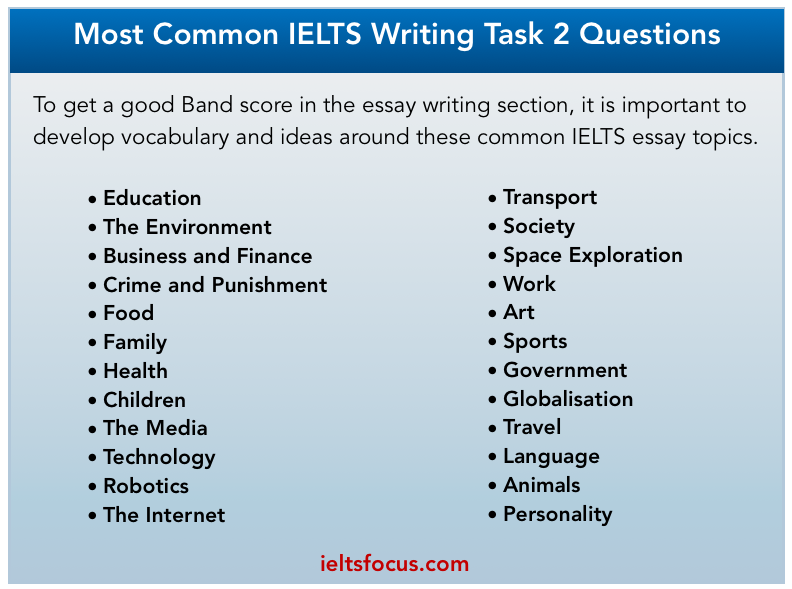 How to identify the 5 types of IELTS task 2 essays. 3 Types of Advantage Disadvantage essays. How to express the public or general opinion in IELTS Discussion Essays.